Taber Industries is an active member or participant with many industry organizations involved with the creation and publication of test methods and guides. We welcome the opportunity to participate in the development of a new procedure or review of an existing method that references a Taber instrument. If you need assistance establishing a program that will supply the required test data needed to make informed material performance decisions, do not hesitate to contact us. 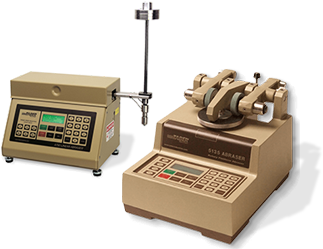 The following links provide a listing of test procedures which Taber instruments may satisfy. Please note, additional accessories may be required to satisfy the test method.